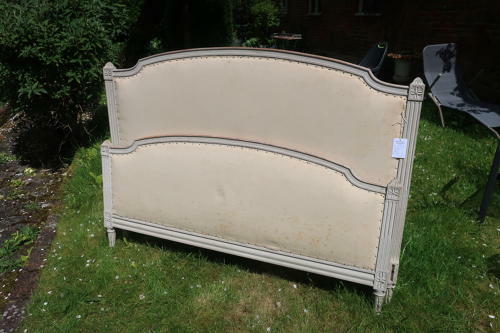 A large French upholstered bed in original paint finish, in the Louis XVI style, in calico, can be upholstered in fabric of choice at a very reasonable cost, comes with side rails, slats can be supplied if required. All in good order. Will easily take a Kingsize mattress.